Inceni hillfort in Dobele district, Vitini municipality. Category includes ancient human settlements which have been more or less permanently inhabited for some period of time. Major part of ancient settlements are abandoned now and only occupation layer below the ground level testifies their existence. Just a small part of settlements is inhabited up to this day with new buildings built over the old occupation layer - such settlement is f.e. Old Riga which has been inhabited without interruption since the establishment of ancient Livic settlements some 1000 years ago. The oldest known settlement is Salaspils Laukskola settlement which was created some 11 000 years ago - comparatively shortly after the retreat of glacier. Medieval settlements which have been established until 16th century could be considered to be archaeological monuments as well. How large should be a settlement in order to be named - settlement? One separate dwelling is settlement? Two dwellings? This questions does not have certain answer - but this problem to great extent is solved in Latvia because there are nearly no separate ancient dwellings found. When are two settlements separated? Often there form several settlements in close proximity. Thus in contemporary Old Riga shortly before the establishment of Riga town there were two or three villages of Livic people. Distance between the centres of two these villages is just 300 metres. What if during the future excavations one will find remnants of Livic dwellings between these villages? Would these remain to be two separate villages? The oldest settlements and part of the newer ones are plain settlements which in general do not have any visible features above the ground level. Approximately since 2000 BC there appear fortified settlements - hillforts. Hillfort often are located on higher locations, they have levelled surface, hillsides are artificially steepened and earthen ramparts and ditches are made. 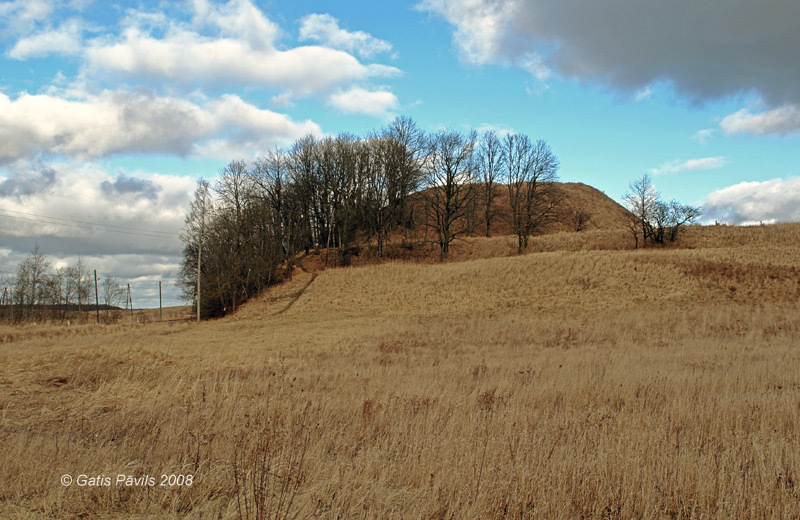 There are several hundreds of hillforts and similar formations in Latvia. Larger settlements formed around some hillforts and in some places these settlements in many ways became similar to medieval towns. More exotic kind of ancient settlements is lake village - settlement built on islands and/or piles. In medieval times there started to form medieval towns, part of them were fortified. These settlements are interesting landmarks as well. Several among them - f.e. Koknese, Straupe, Pilesmiests - were abandoned and today are only archaeological monuments. Some medieval towns have survived better - comparatively well preserved is Old Riga, to lesser extent also historical centre of Cesis. Other medieval towns have been less preserved - just a network of medieval streets and roads, church and ruins of medieval castle remain. All the other buildings have been built in later times. Medieval towns belong to two categories of landmarks - they are monuments of urban development as well. Below are listed all the ancient settlements described in this website. Each column in this table is sortable by alphabet - just click on the header of the table. The first column - "No." - gives an order of appearance of the landmark in this website.